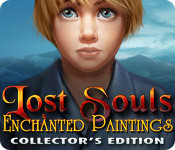 Lost Souls: Enchanted Paintings Collector's Edition is rated 4.4 out of 5 by 34. Rated 5 out of 5 by cirasmallfish from This is a realy good one!! I did not find myself hitting the "Hint" for every other move. The story line flowed so well. Also the characters that did speak, were brief and to the point, I really enjoyed this one!! Rated 5 out of 5 by zeldaqn from Great Format I really like the format of this game in its originality. Every game i've played like this, i.e. five stories in one has been a favorite of mine. You don't get bored with the same ol same ol. It changes it up for you. I definitiely recommend it. Rated 5 out of 5 by Wayner33 from Simply a fun game This was a nice change from the usual monsters and evil characters The graphics are very good I especially enjoyed the.relaxing music. The puzzles (that I generally skip) were fairly easy. My only disappointment was that is too short. Rated 5 out of 5 by nieakitty from Kitty's Thoughts: Why did I give my son that package? You like paintings into other worlds. This is definitely a game you should try. Storyline: I had to say this game pulls you in with a simple story and goal. You have to simply save your son from the evil wizard right? Well, unfortunately...., this guy doesn't make it easy because once you get into the world he's from every painting world is in peril and need your help. Sigh seems like everyone can't handle themselves without a mother's touch. Overall, regardless of predictability the story is good. Level of Challenge: This game has some pretty decent challenge. The puzzles are sometimes brain scratcher, however not too difficult that you want to pull your hair out. 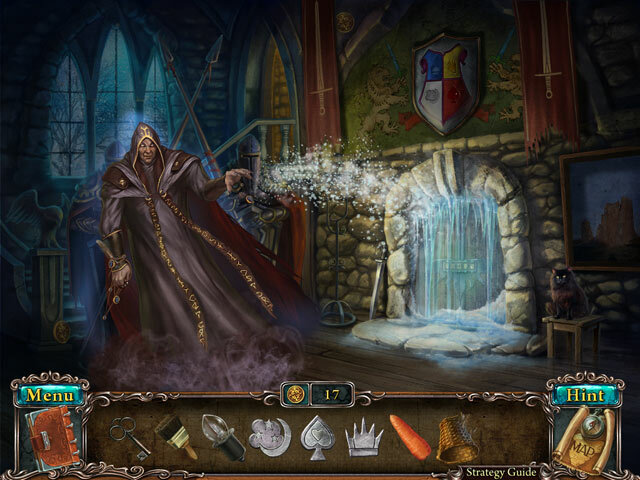 There's a numerous amount of activities that any level of player could enjoy. So this game is well rounded with the difficulty. The only negative part is if you turn it up to expert. It really doesn't make it harder. So, that's just a little heads up. Visual and Sound Quality: The animation in this game is very top notch from each story you travel to. Except the extra painting doesn't have an animation that follows it. However, the animation does show when you finally finish it. Overall, the characters were also well done in this game as well. Fun Factor: This game is highly fun for any age. Whether you get the CE or SE, you're gonna love it regardless. The gameplay overall is just fun and it's not heavily repetitive except how you finish the painting and starting it by cleaning it. 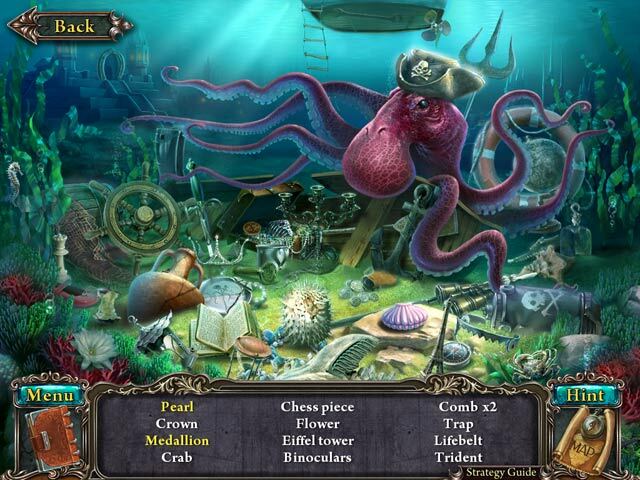 It may seem repetative when it comes to the hidden object scenes. Overall, It's pretty decent. I give this game a 5 out of 5. I just really love it and hope they pull out another sequel. However, it may never come to past. Enjoy the game while you can. Kitty OUT! Rated 5 out of 5 by fatandfrumpy from A fun game I enjoyed this, liked the map and the painting idea, very fun. Rated 5 out of 5 by fair_cher from Most beautiful artwork and fun I loved the fun, not-too-difficult play of this game. Entering the different worlds was entertaining. The artwork was beautiful and outstanding. Kept my interest, although I didn't care about the storyline at all. I loved never getting stuck or frustrated, although the clock on the house on the hill got me; I put the hands backward before I caught on. Music was unobtrusive and didn't come to my attention. It is short, but I loved playing this fine game. Rated 5 out of 5 by NaughtyPenguin from Gorgeous settings! 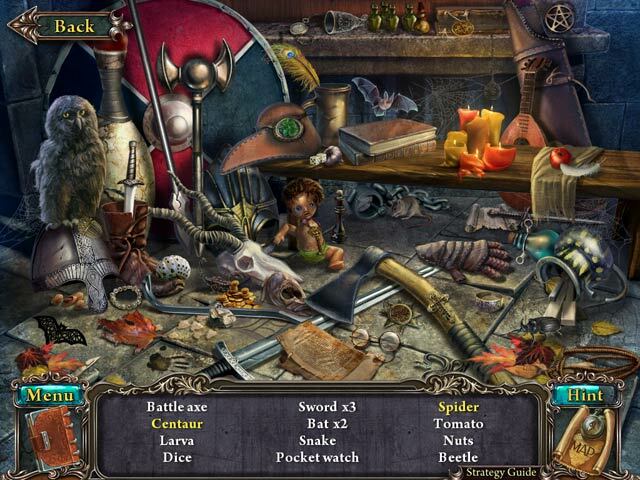 If you love fantasy kingdoms with fairys and dragons, elves and magic, you'll love this game. I frequently get frustrated with dark games that require you to find non-sensical things and go from place to place before you end up in an HOS. This game was an exception. The hints are good and I quite enjoyed figuring out what I needed to accomplish a task. The tasks actually seem to have some purpose to the story. What really draws me to playing this one over and over are the gorgeous settings! You travel to 5 different fantasy worlds. Just when I think my favorite is the fairy kingdom, I land in the dragon world. The map makes it easy to navigate and the game tells you when you no longer need to return to a particular scene. You never go to to a specific HOS more than twice so there's lots of variety and the scenes don't look like crazy junk piles. I only wish the game was longer. Rated 5 out of 5 by Maz67 from Enjoyable relaxing game I love challenging games that need a bit of brain power but if your looking for a rest from doing your head in (as I was) this game will help. The visuals are beautiful, the music is pleasant and the gameplay is logical and relaxed. You can replay in free mode if you don't manage to collect enough coins the first time 'round to purchase all trophies. Overall, I really enjoyed this game, it wasn't TOO short but my only problem is that I wish it had lasted longer. Rated 5 out of 5 by donnica33 from Charming Game, Great Graphics Liked the story line: you have to search worlds in various paintings to save the boy. Some new twists, and the puzzles were really enjoyable. Highly recommended; wish they'd write a sequel!